Feminism may be having a promising moment in our culture – with the continued rise of #metoo, more diversity on our television screens and overall demand for more representation of different female experiences – but advertising is an area that seems to still be lagging behind. In response, Dove has teamed up with Getty Images and Girlgaze, a digital media company, to launch Project #ShowUs. 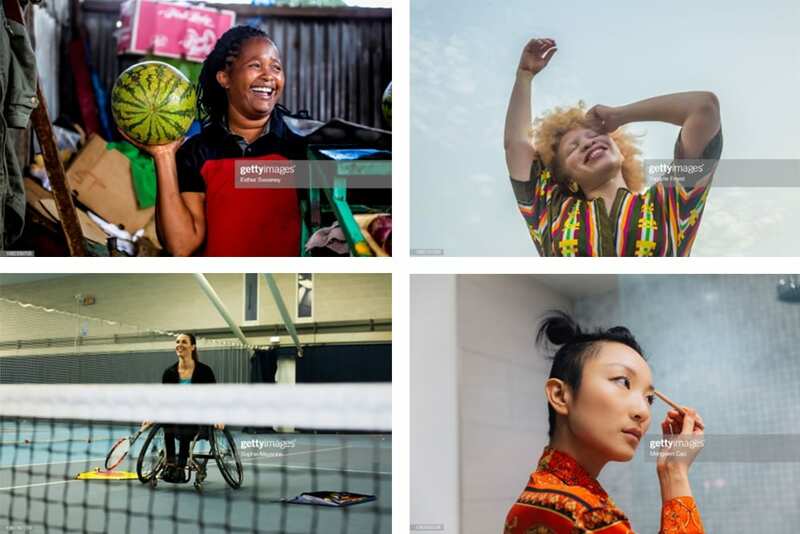 The campaign aims to provide expanded stock photo options that are more representative of how women look throughout the world. Dove seems a natural choice of partner for this initiative, as many of their campaigns over the years have focused on “real beauty” and eschewed female stereotypes continuously across the advertising landscape. In addition to encouraging more diverse photo subjects, the images were shot by 116 female and non-binary photographers from 39 countries. As a final touch of empowerment, the models were given the opportunity to create their own photo tags, resulting in fewer “#woman laughing on beach” or “#woman smiling with salad”-s and more “#enlightened” and “#bosslady”-ies. 5,000 of these new images are available for purchase on Getty now, eliminating the excuse of relying on antiquated stereotypes because no other options exist. 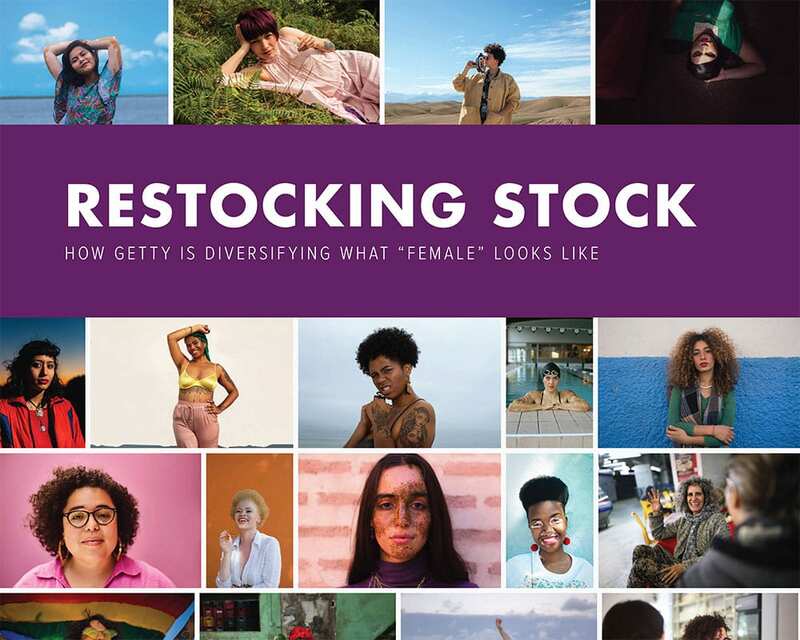 In the past year, Getty has reported that interest in search terms such as “real people,” “diverse women” and “strong women” increased 192%, 168% and 187%, respectively. Clearly, an industry-wide movement towards wider representation at this point would be reactive, not proactive, but that does not mean that it’s too late to get on board. We live in a world where we, as consumers, want to be spoken to, not spoken at, by brands. With social media blurring the lines between individuals and companies, we expect more of a personal touch from companies trying to sell to us; seeing our true selves actually reflected in advertising will only help brands make deeper and more meaningful connections with their consumers. While moving away from narrow and difficult-to-achieve physical representations of women towards greater diversity and realism in how women are depicted in advertising and media is long-overdue, it will be interesting to see just how far an industry accustomed to (and paid for) selling dreams and aspirations (typically to the largest group) is willing (and able) to swing toward true representativeness. After all, if “my” image doesn’t improve as a result of using the brand, why should I buy it? Few would argue that people generally want to be and feel younger, prettier, healthier, richer, etc—and “see” their future self in the proffered image—as they and their peer group defines it. The key will be striking an effective balance between a more inclusive image of women (i.e, not always the prototypical thin, white, young runway model) while still being aspirational and motivating. Whether the industry is capable of this nuance remains to be seen, but at least we are moving in the right direction. Lisa began her career as a China analyst in Washington, D.C., before moving to Phoenix to attend the Thunderbird School of Global Management. Since then, she has gained experience in account service, project management, branding, media placement and campaign strategy. Her clients have ranged from resorts to transportation companies and nonprofit organizations, as well as both B2C and B2B companies. She holds a dual B.A. in international affairs and Asian studies from George Washington University, as well as a master’s degree in international marketing from Thunderbird.